GRENAA STRAND, Denmark — Power Music of Denmark recently added HARMAN’s JBL VTX line arrays and Crown I-Tech HD amplifiers to its inventory. A longtime HARMAN customer, Power Music is a leading regional provider of sound and lighting systems for applications of all sizes. 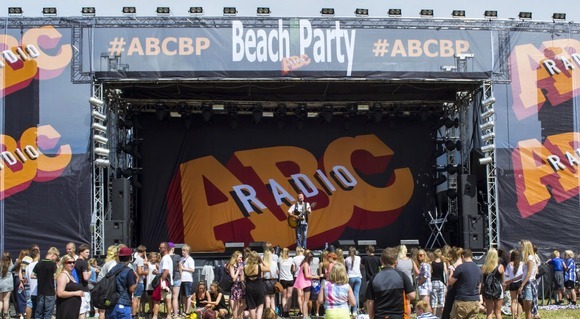 The company recently put its new VTX system to the test at ABC Beach Party, a 12-hour event organized by Danish broadcaster ABC Radio, featuring approximately 25 artists. Held at Grenaa Strand, in Denmark, ABC Beach Party drew an audience of 10,200 people. Power Music purchased a total of 16 VTX V20 loudspeakers, along with six S25 subwoofers and six G28 subwoofers. In addition, the company added six Crown I-Tech 12000HD and four I-Tech 4x3500HD amplifiers featuring Crown’s DriveCore™ technology (on top of the four I-Tech 4x3500HD amps the company already owns). The PA system at ABC Beach Party featured a left-right configuration of eight V20 loudspeakers per side, topped with three S25 subwoofers per side. Six G28 subwoofers were ground-stacked as a center cluster in cardioid mode, while two VTX F12 loudspeakers were used for out fill. All monitors were JBL SRX712 and VRX915M loudspeakers, while side fill monitoring was handled with two JBL SRX725 loudspeakers and two SRX718S subwoofers. A Soundcraft Vi4 digital console was used at the FOH position, while a Vi1 console was deployed for monitors and the entire system was powered with Crown I-Tech HD amplifiers that were controlled, configured and monitored with JBL HiQnet Performance Manager™. “The last couple of years we have used JBL VERTEC® VT4888 loudspeakers, so we were really excited to see how the VTX system would compare,” said Rune Hjort, Owner of Power Music. “Needless to say it blew everyone away.